Alan Davis founded the Authentic Bread Company in 1995 after deciding to take his passion for baking and make it into a professional business. 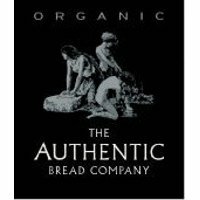 The organic bakery was a relatively new concept for its time and began in a simple converted garage in rural Gloucestershire with the aim to produce high quality, great tasting breads superior to regular store bought brands using traditional methods. A true family business, Alan, his wife and their children are all involved and have expanded the range of products to include certified organic cakes and pastries as well as traditional pasties. The company has been certified organic by the Soil Association and takes extra measures to ensure environmental impact is kept to a minimum by participating in recycling services and using eco-friendly packaging. We have a gorgeous range of organic and gluten-free Christmas cakes and puddings from the Authentic Bread Company for the whole family to enjoy.